It's the largest sandbox you can imagine. 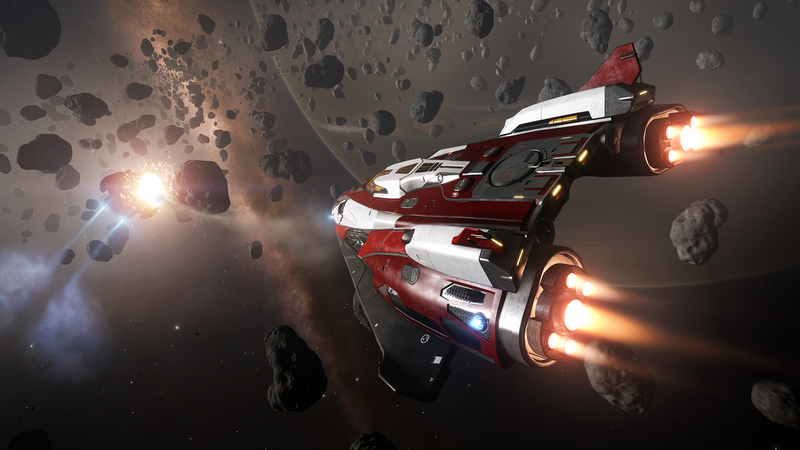 Running on the team's Cobra engine, Elite Dangerous simulates a galaxy's worth of exploration, trading and combat - with different results on PS4, PS4 Pro, and Xbox One. The native resolution is fixed at 1920x1080 on each, surprisingly, but visual settings differ between them. Meanwhile, PS4 Pro offers up two modes: one for performance (using the exact same graphics settings as a regular PS4, but pushing higher frame-rates), and another for quality - where upgrades in ambient occlusion, material quality, terrain, and anti-aliasing are evident.